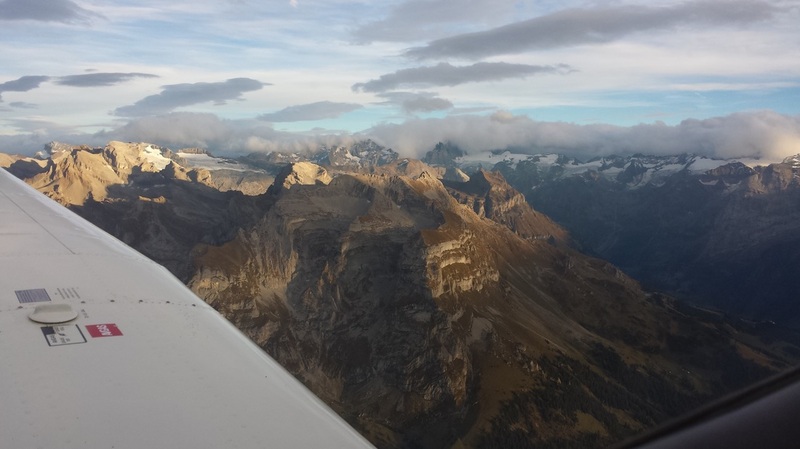 My husband Jared and I recently came back from a trip to Switzerland (CH for easier reference) and Northern Italy and, of course, we carved out some time to learn a bit about their general aviation (GA) system and activity and do some flying around such beautiful scenery. 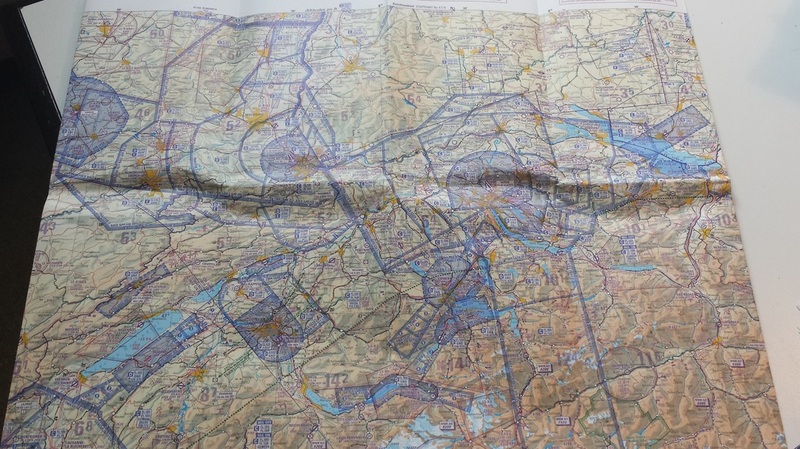 Prior to our trip, I did some research and made some contacts along our proposed route to identify interesting flying activities and airports to visit. 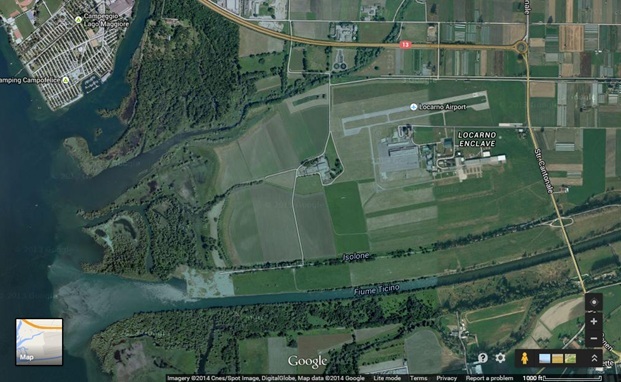 I have found that the International Council of Aircraft Owners and Pilots Association and Google Earth are my biggest allies when doing this sort of thing. Disclosure: This, like all other international trips my husband and I have taken and blogged about, are not paid for or organized by AOPA. 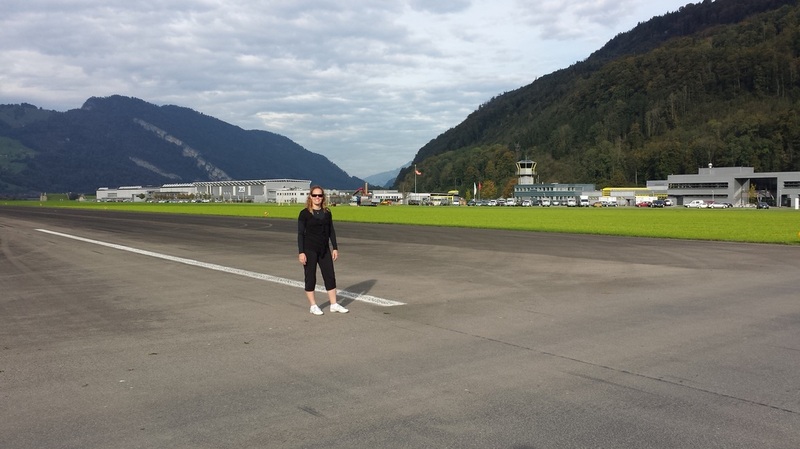 Our first stop was to the Militärflugplatz airport (LSMA) in Alpnach after some canyoning (or canyoneering). 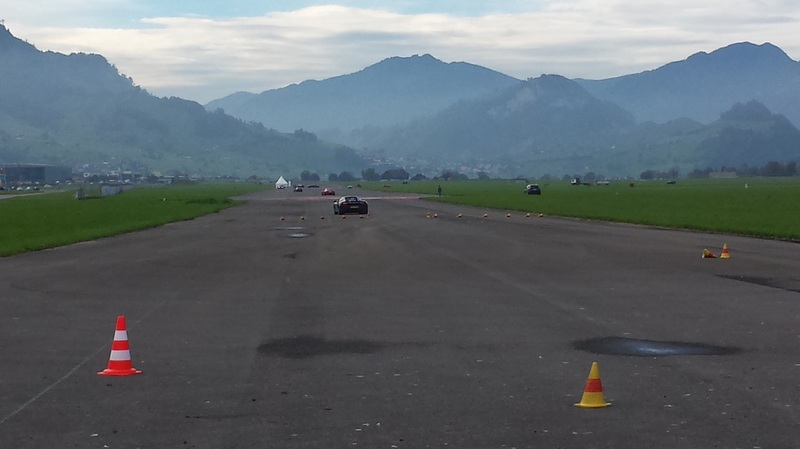 This was our second time crossing an active runway by car. 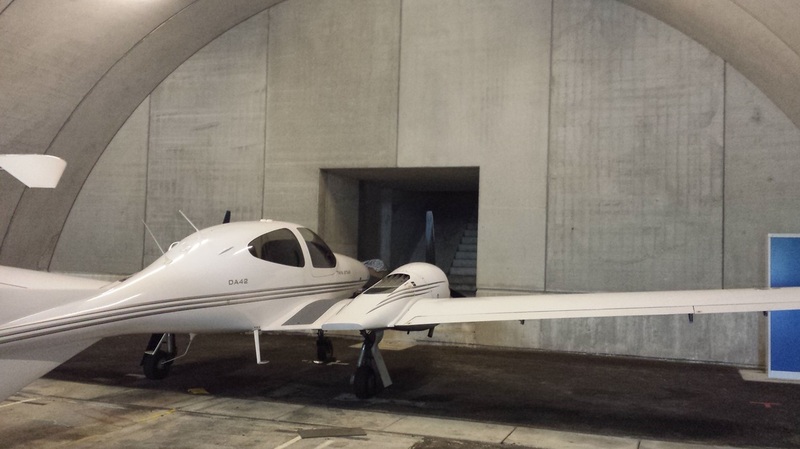 The first time was at the Gibraltar International Airport although the experiences were quite different. 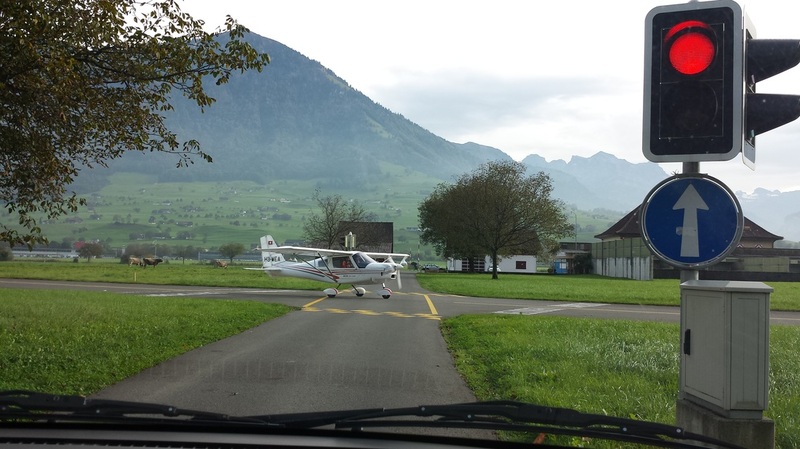 The road crossing the Alpnach airport was not nearly as busy as the one in Gibraltar. 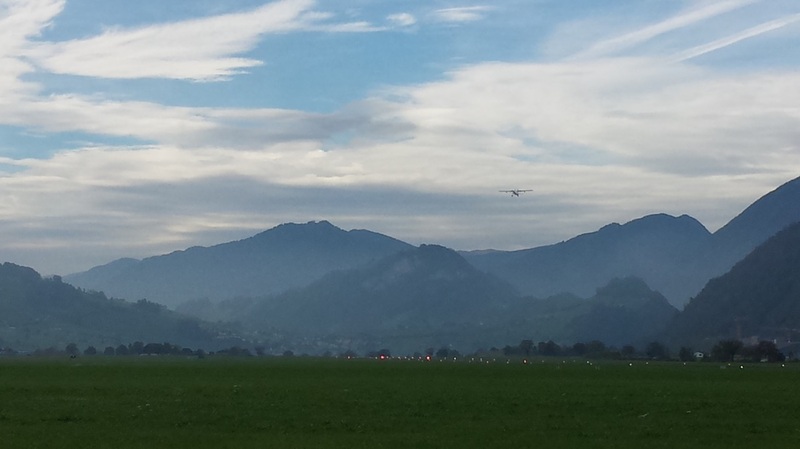 ​Notice the mountains all around the area, probably making the approaches into the Alpnach airport quite interesting and fun. ​If there is one thing we have learned as we travel around different countries… it’s that it does not matter where people are born, where they live, how old they are, what they look like, what their background is or what they do for a living… most of us are amazed at the beauty of flight and we have a tendency to stop and look for aircraft when we hear them flying overhead (or call it ADD, Attention Deficit Disorder, when it comes to aircraft flying). Below is one example in Alpnach. 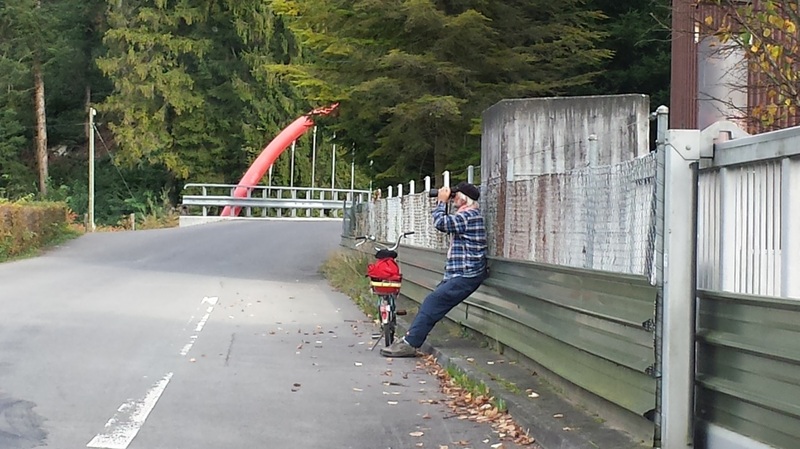 This gentleman was watching a Pilatus PC-7 doing aerobatics over the airport. 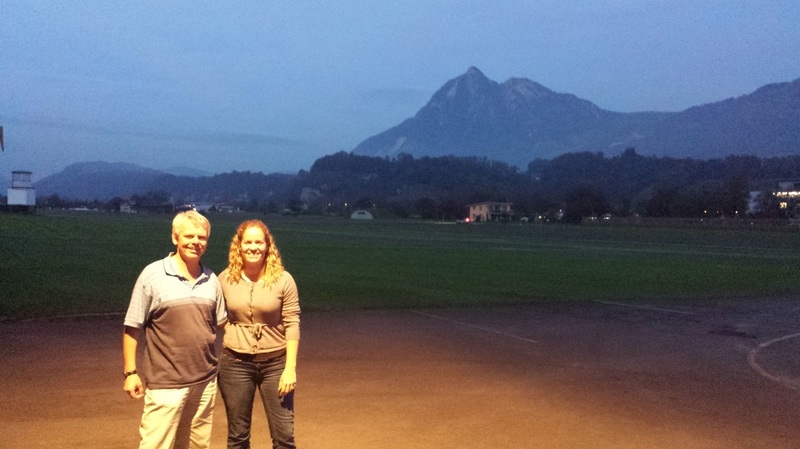 On Wednesday, we went to the Buochs AG airport (LSZC) in Stans where Airport Manager Thomas Bienz and Operations Manager Jan Spycher (who also serves as AOPA Switzerland‘s Airport Liaison – our form of an Airport Support Network (ASN) Volunteer) gave us a wonderful tour of their facilities prior to taking a tour of the home-based Pilatus Aircraft factory. ​They had some interesting things at their airport… a closed runway where two groups were test driving cars (one group was driving Porsches, the others were driving high-end cars of different brands), bunkers inside the mountain where the Swiss military used to store military jets (they used to line them up and use a lift to bring the aircraft they needed forward), not very often seen hangars with exhaust escapes so pilots could start their engines inside the hangar prior to taxiing out while keeping the aircraft warm and away from the weather, city roads running across taxiways, and, of course, lots of Pilatus aircraft flying around doing training, intro flights, and practicing aerobatics, etc. 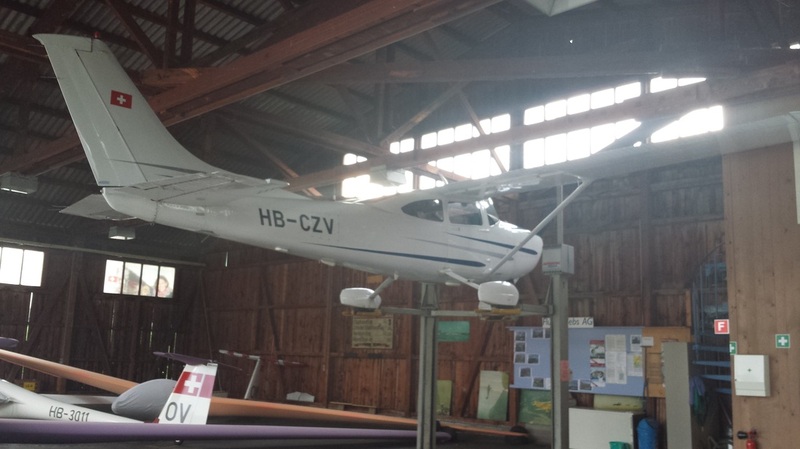 ​Prior to visiting Buochs, I had never heard of the AC4 Light Sport Aircraft (LSA) manufactured by Lightwing Aircraft, also headquartered in Stans. It’s too bad because I would have loved to visit with them and learned more about the aircraft. Oh well! It’s now on the list for a future trip to the area… and at least we had a chance to see their prototype flying. 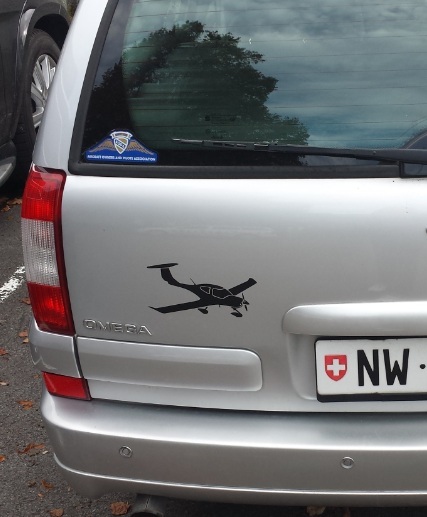 ​Thomas is also a proud AOPA member and Diamond aircraft owner and displays so in his car. It always put a smile on my face when I see this as a member and staffer myself. 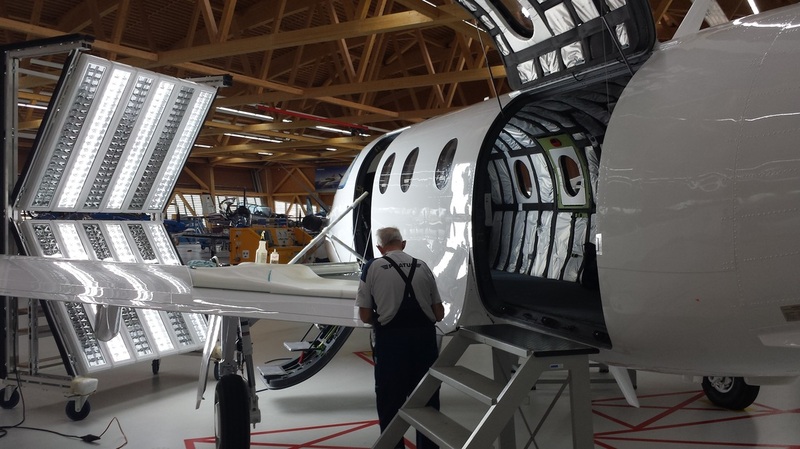 Following the airport tour, we visited the Pilatus Aircraft factory with Jan and Jörg Ruckstuhl, Sales Manager for the PC-12. 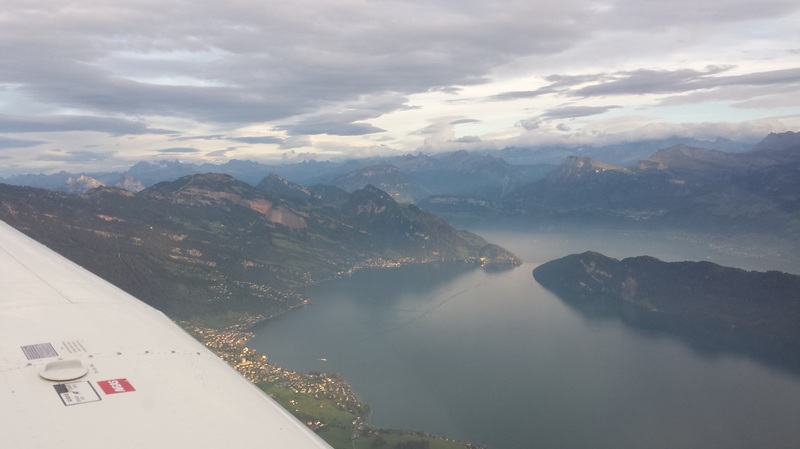 Pilatus has over 1,700 employees in Stans, making it one of Central Switzerland’s largest employers. 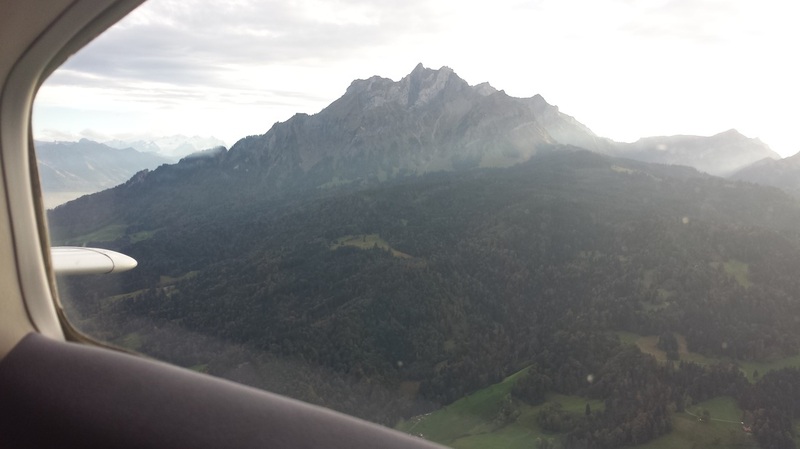 ​The name of the aircraft manufacturer comes from nearby Mount Pilatus (picture shown later). Legend has it that this almost 7,000 feet peak was named after “Pontius Pilate,” whose corpse was thrown into a lake on its summit and whose restless ghost has haunted its height ever since. 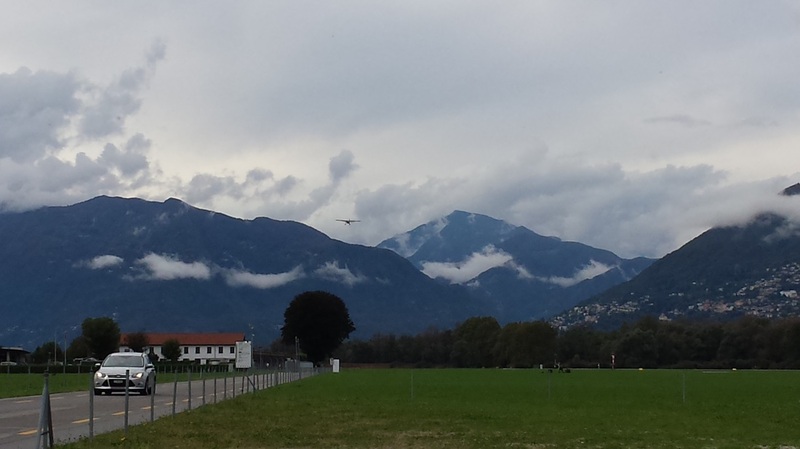 However, I also read that “Pileatus” is the Latin word for “cloud covered” as the mountain frequently is. Take your pick! 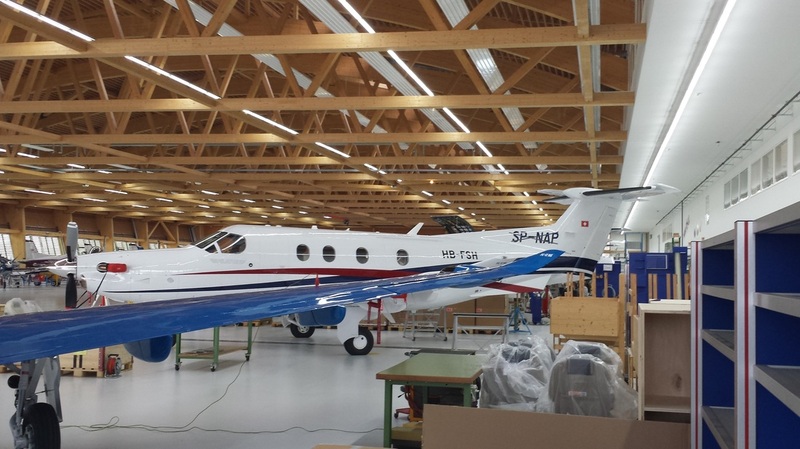 Pilatus is staying pretty busy building a combination of business (PC-6 and PC-12) and military aircraft (PC-7, PC-9 and PC-21) as well as designing their upcoming PC-24 – their first jet, also designed for short, unprepared runways. It was interesting to learn that most of their military aircraft are currently heading over to Saudi Arabia and the United Arab Emirates (UAE). We could not take pictures of those aircraft (although I can tell you that they were beautiful and looked like a lot of fun to fly!) 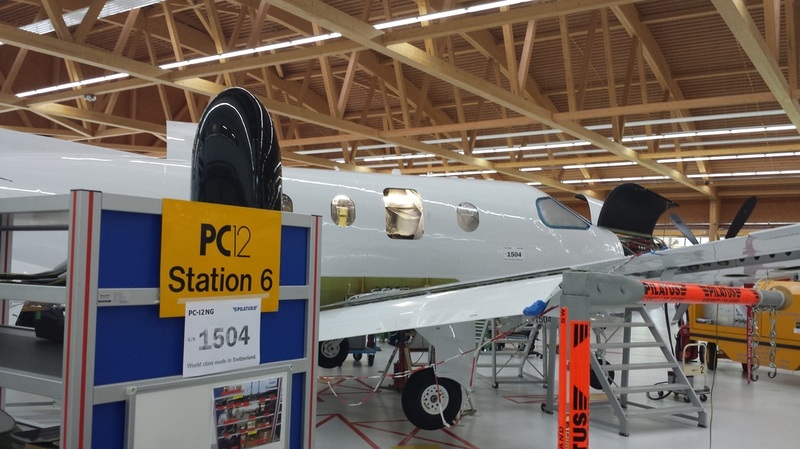 but we were able to take some of the PC-12s in their final stages of completion. 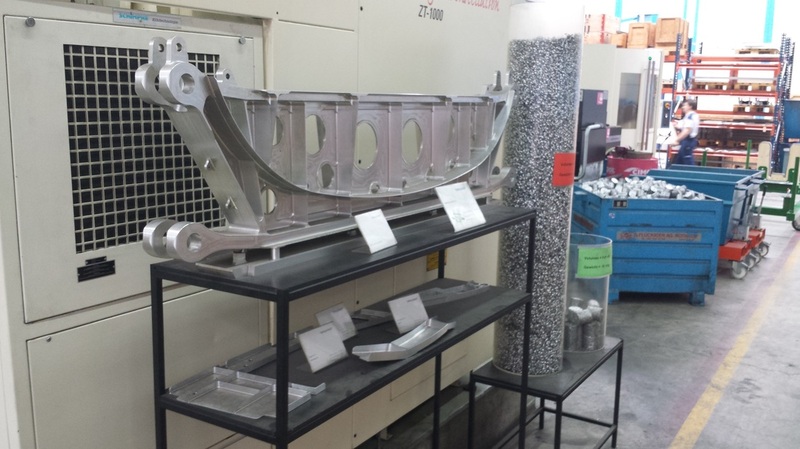 We learned that aircraft coming here to the United States are finished to customer specifications (interior and exterior) at the Colorado factory. 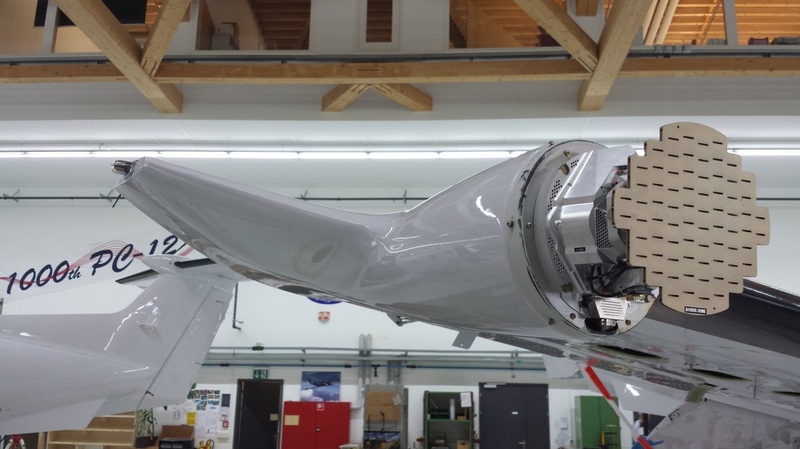 The remainder of the aircraft are normally completely finished in Stans and flown to the customers with Swiss temporary registration numbers (HB). 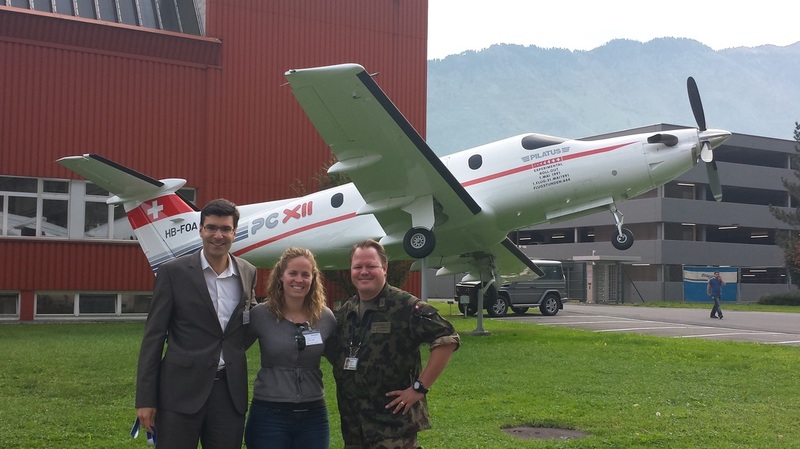 This PC-12 was going to Poland (SP) the next day with a temporary HB registration. Notice the two registration numbers. We were pretty impressed with the work done in the factory and happily surprised with the amount of construction they had: a recently built parking deck for employees and a new logistics hangar going up. 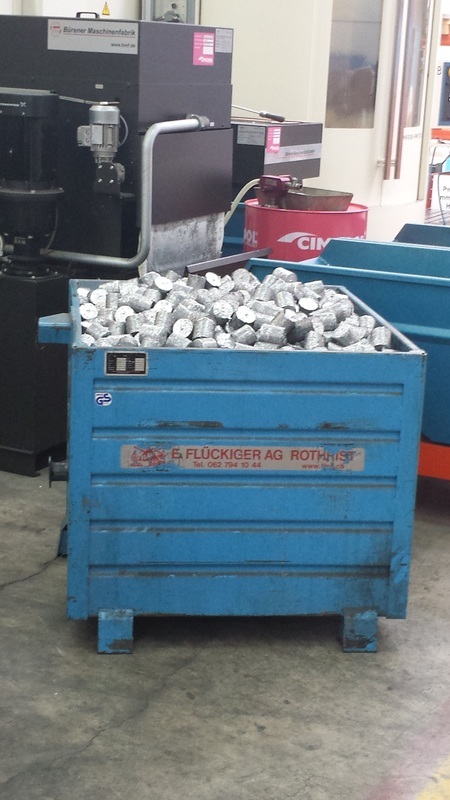 We were especially impressed with the metal machines and skills, possibly because we had never seen that before. 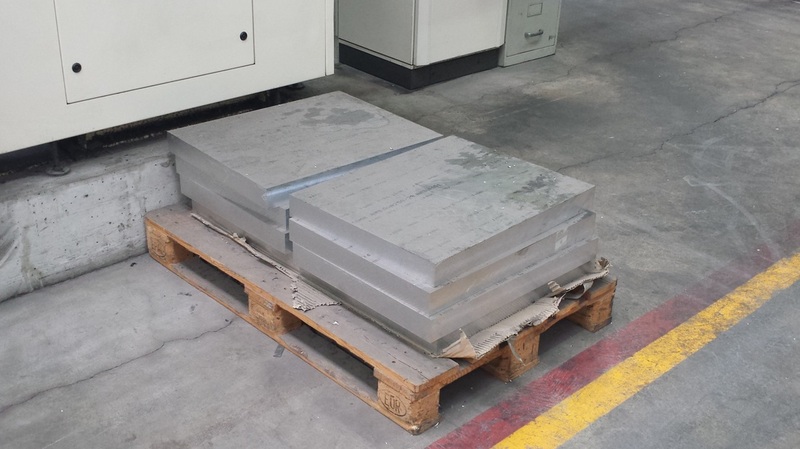 It is interesting to see the blocks of metals they receive, how they make most pieces of the aircraft and then compress and resale the excess metal they can no longer use. 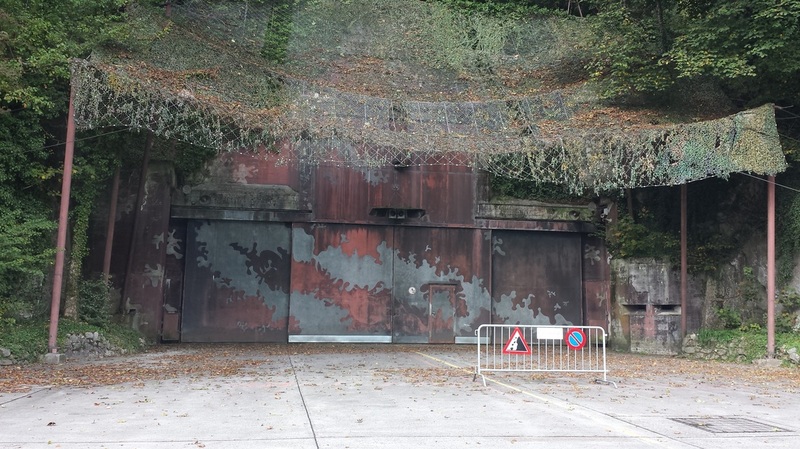 ​While there, we learned that the Pilatus plant was used for the movie Goldfinger where James Bond crashed an Aston Martin DB5 and was captured. 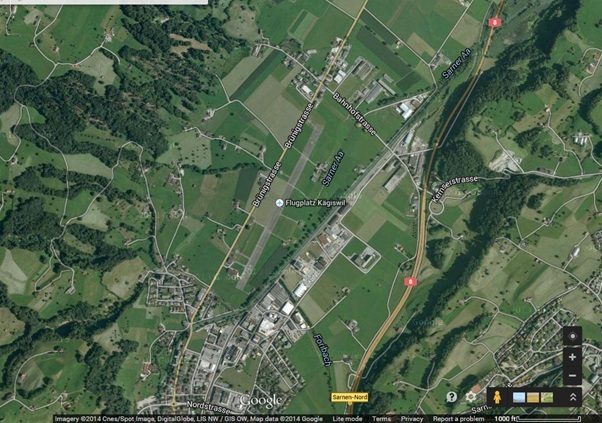 I also realized that AOPA and Pilatus had at least one thing in common… they were both founded in 1939 and, therefore, both are celebrating 75 years this year. Big accomplishment for both organizations! And, after both of those awesome tours and a flat tire on the rental car, we were able to squeeze in the flight of a lifetime for both Jared and I. 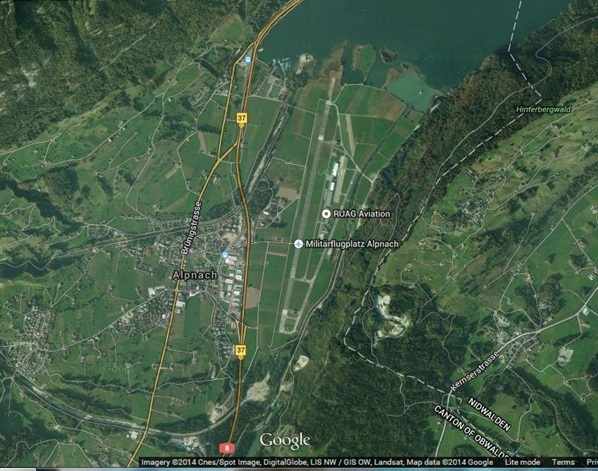 We had arranged a flight around the area with Stephan Willi in HB-PHG, a 1981 Piper Archer II, from Kägiswil airfield (LSPG), located north of Sarnen and just a few miles south of Alpnach. 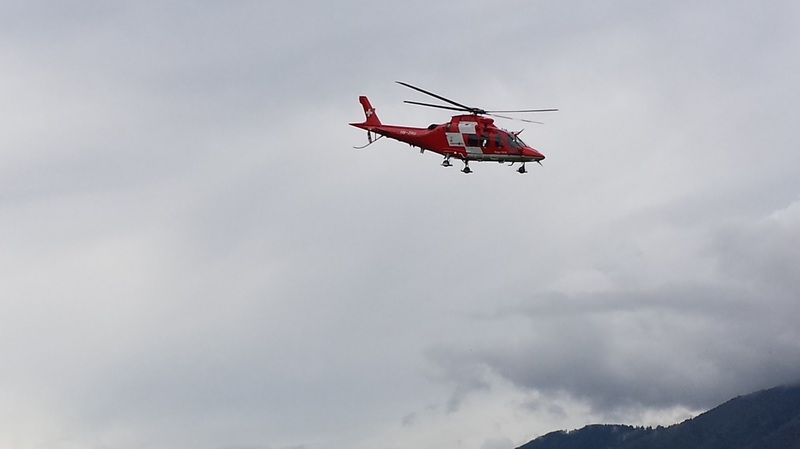 The aircraft and flight instructor belong to a local flying club. 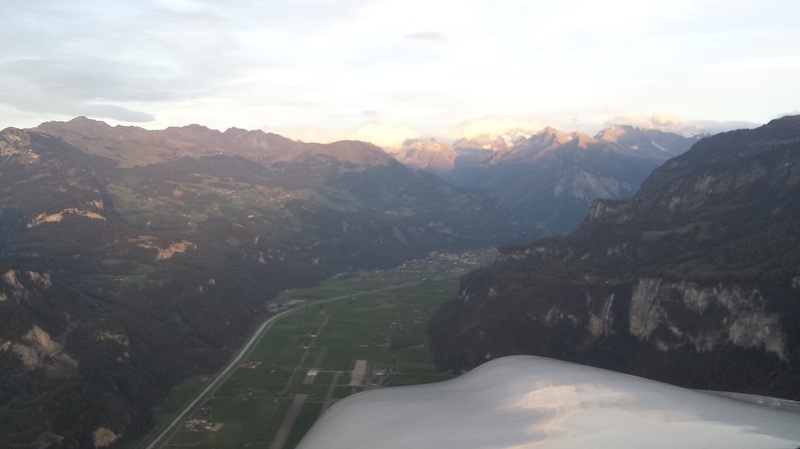 The combination of having Stephan as our flight instructor (a great and very knowledgeable person who explained to us how GA works in CH) with a great flying aircraft and a beautiful area… made our one hour flight one to remember forever. I flew the circular route that took us around Alpnach, Mount Pilatus, Luzern, Buochs, Mount Titlis, Interlaken and the Swiss Alps but Stephan was PIC because he was the one who handled all the radio calls (in English, I must add, since other European countries use their own native language) and kept us away from airspace, noise sensitive areas, etc. The elevation at the airport was around 1,500’ MSL so we climbed to 10,000’ to stay above most of the peaks in the area. 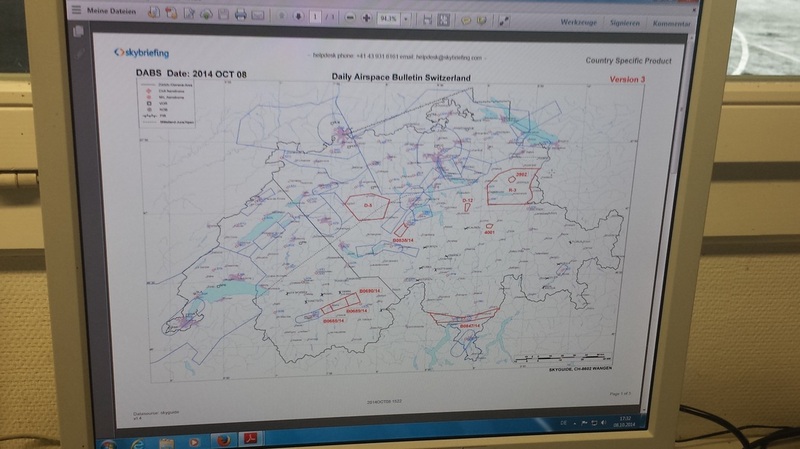 Daily airspace bulletin for Switzerland… like our TFR map with airspace notams. They are currently in a test/trial program so they are not currently charging for these but they may in the future. ​Wow! So fun! 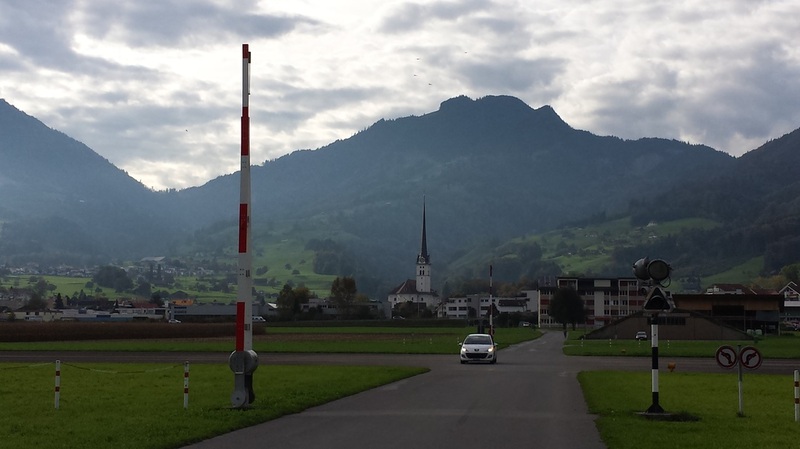 Writing this blog is making me want to go back now… I will show you some pictures but they don’t do the scenery justice. 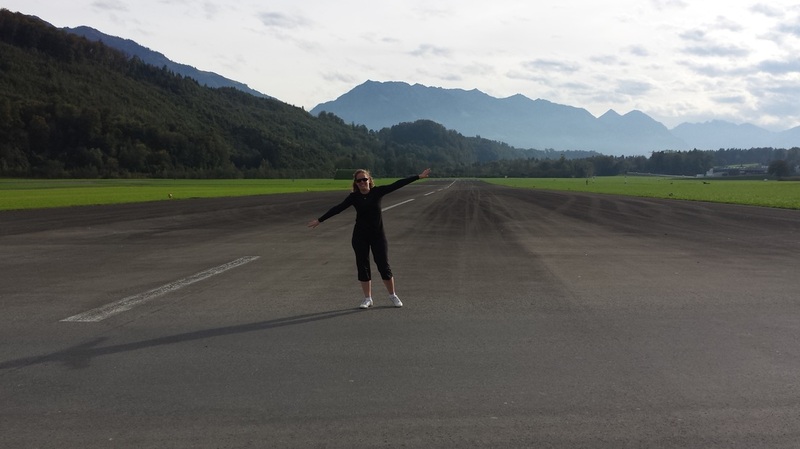 The runway was almost wider than long, haha, and somewhat uneven for what we are used to in the U.S. The treeline around the Swiss Alps is about 7,200 feet, which means trees (and other vegetation) can no longer grow and live. 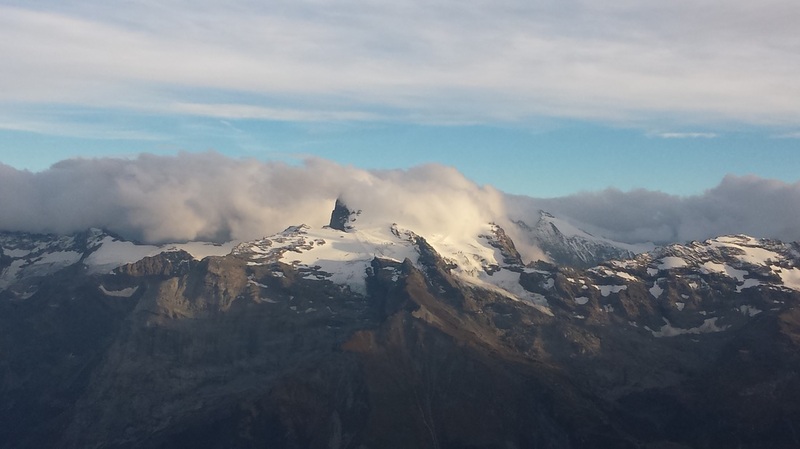 Most high peaks in the area had clouds attached to it. 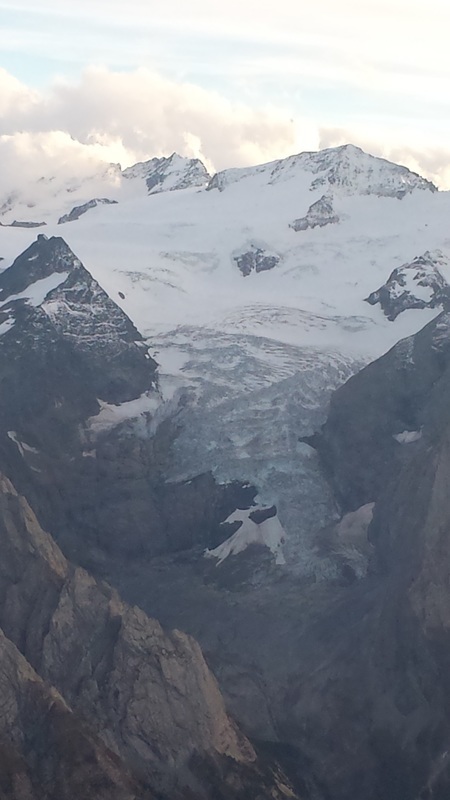 Glaciers were also very common in the Swiss Alps. 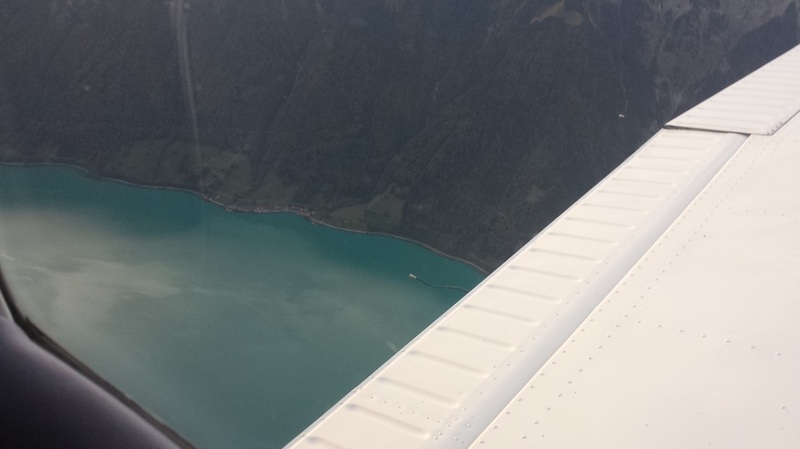 Interlaken’s water color is turquoise because of all the water it receives from the glaciers. 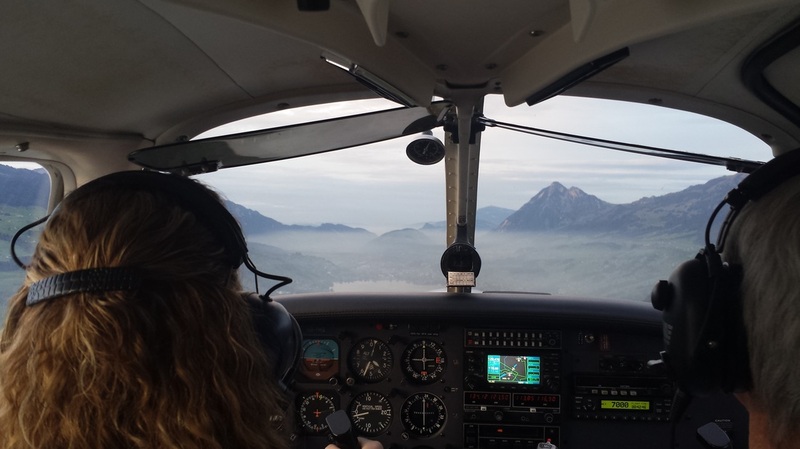 ​This was one of those approaches where being on your airspeeds was key to help with the increased descent angle (but yet slow) past obstacles. Immediately after touch down, a car attempted to cross the runway but, luckily, he stopped when he saw me and I was able to stop before reaching that point on the runway. ​My husband Jared was particularly intrigued by the airplane lift the flying club had in the hangar to be able to fit more aircraft. He sent it to several mechanic friends here at home. 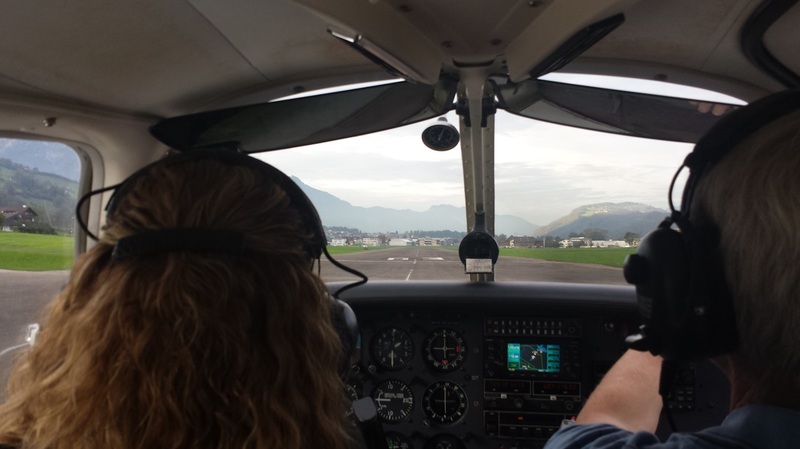 You may also be interested to know how much that one hour flight was… well, 245 CHF (Swiss francs) or about $260 wet with the instructor and a $10 landing fee. Yes, more expensive than here in the U.S., but totally worth every penny for the experience. 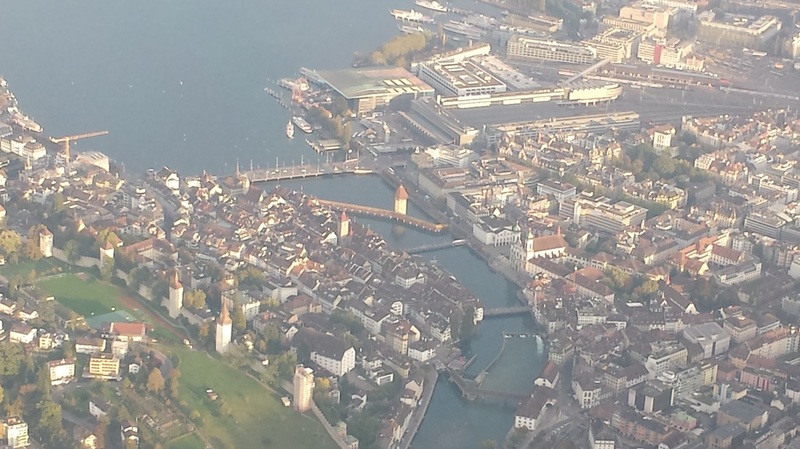 However, considering regular car gas was around 1.50 CHF per liter (or about $6 per gallon! )… I did not think the flight was too expensive in relation. 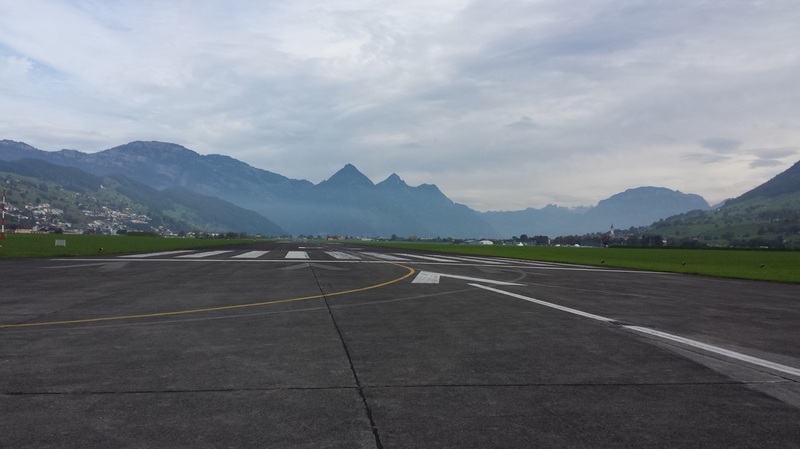 The Lugano Airport, close to where we spent the night that night, was selling avgas for 278.70 CHF per 100 liters. 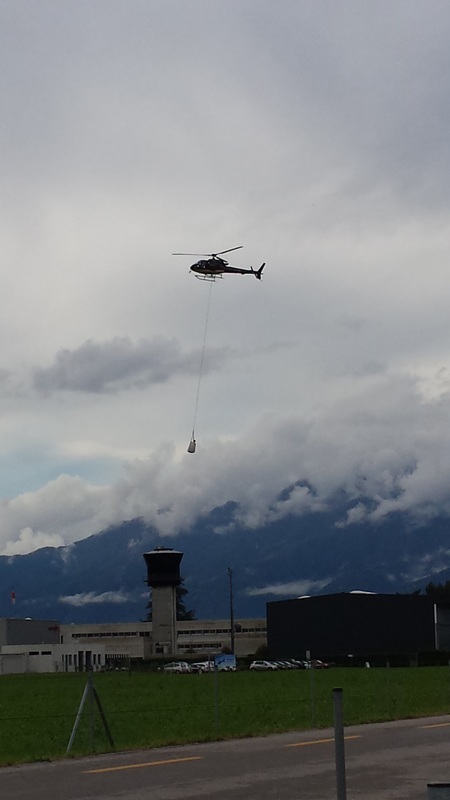 That equates to about 10.55 CHF per gallon or $11.15 per gallon. 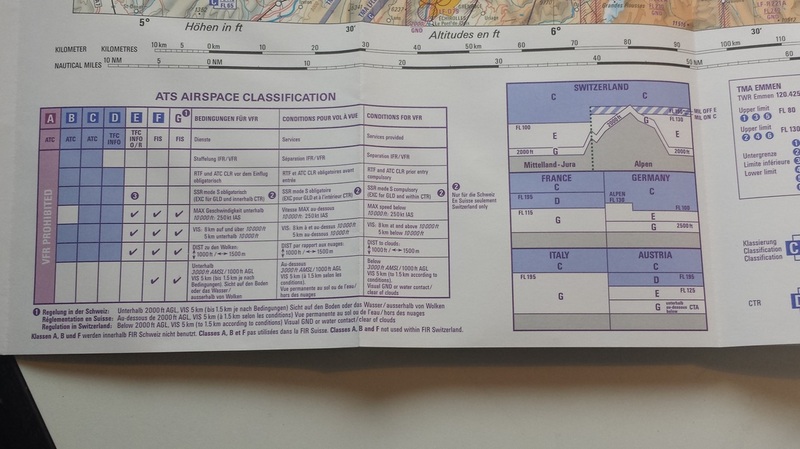 Who says 100LL is expensive in the U.S.? 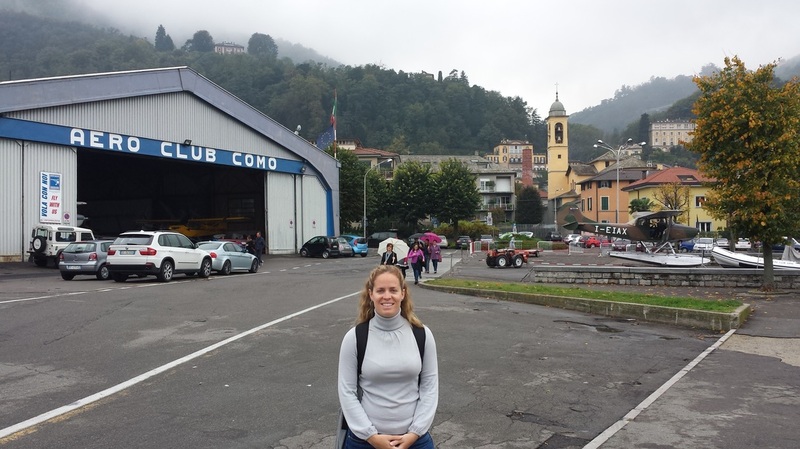 We then crossed the border into Italy where we visited the Aero Club Como (and, yes, George Clooney has a house nearby since everybody asks…). 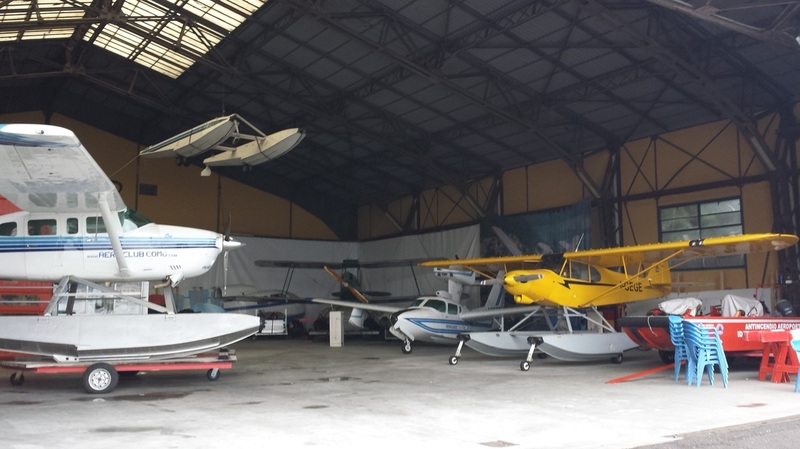 They claim to be “the oldest seaplane operation and flight school in the world“ so, of course, we wanted to see it. They were founded on April 6th, 1930 and you can read more about their history on their website (some of which is in Italian). 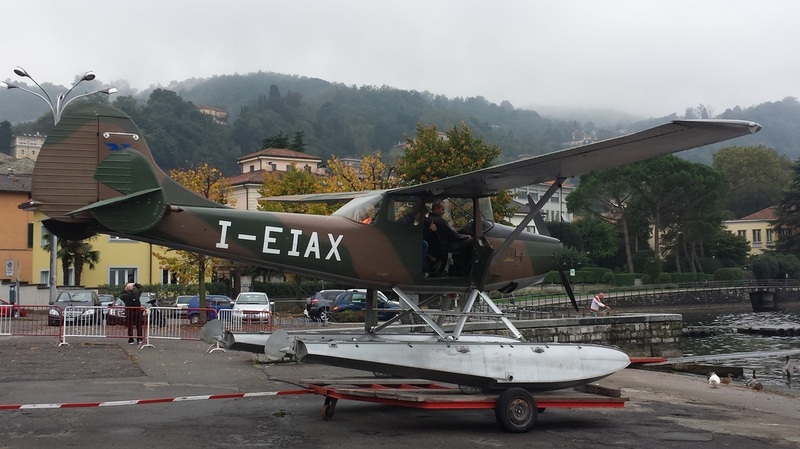 Unfortunately, airplane maintenance and weather prevented us from seaplane flying around Lake Como. Nevertheless, we enjoyed seeing their facility and aircraft. 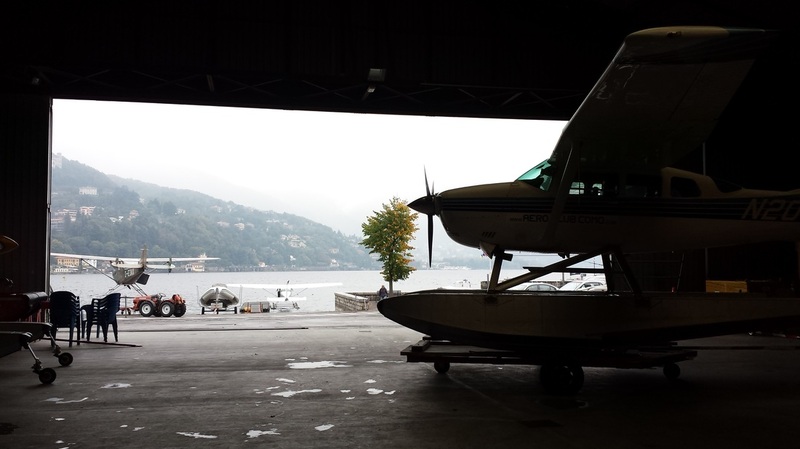 The club and flight school (scuola di piloti) have a hangar and ramp across the lake, very close to downtown Como. Since the weather grounded students as well, one of them decided to do some chair flying with his instructor. I thought it was neat that they perform weddings in the club’s 1930 hangar and they had a poster with information about it inside the hangar. 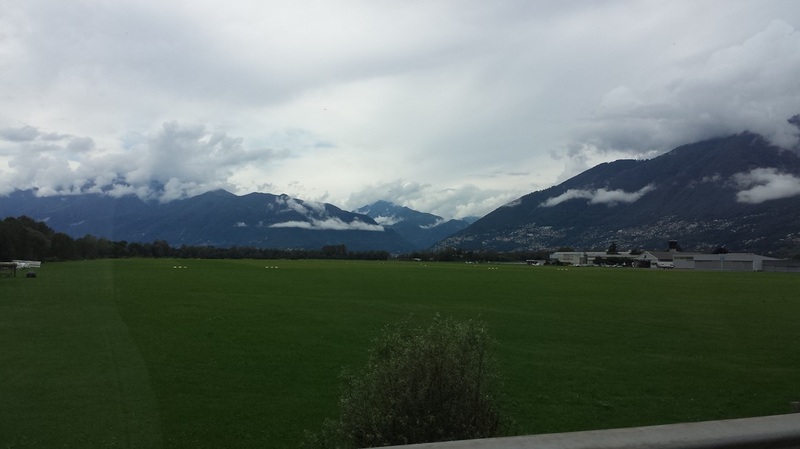 On the way back to Zurich, we stopped at the Locarno Airport in CH. We were happy to see a wonderful GA airport with lots of activity, including skydiving, flight training, military training, emergency/air ambulance operations, external cargo load operations using one helicopter, other helicopters, gliders, etc. 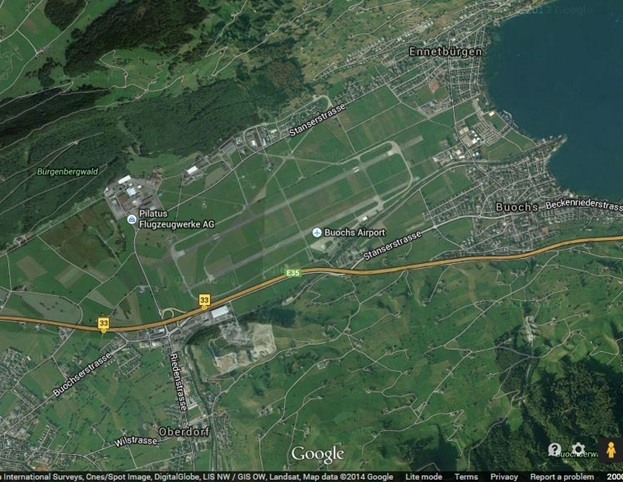 The airport is divided into two areas: the north side had a paved runway and the south side had two grass runways. 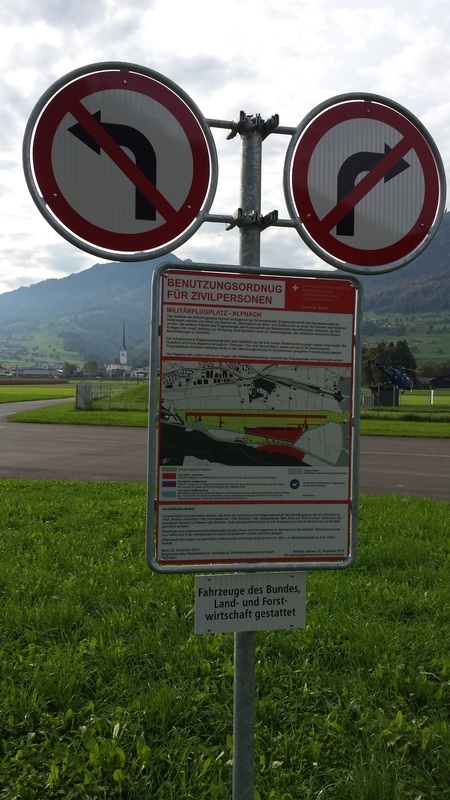 In between and just west of the skydiving facility, there was an area for the skydivers to land. 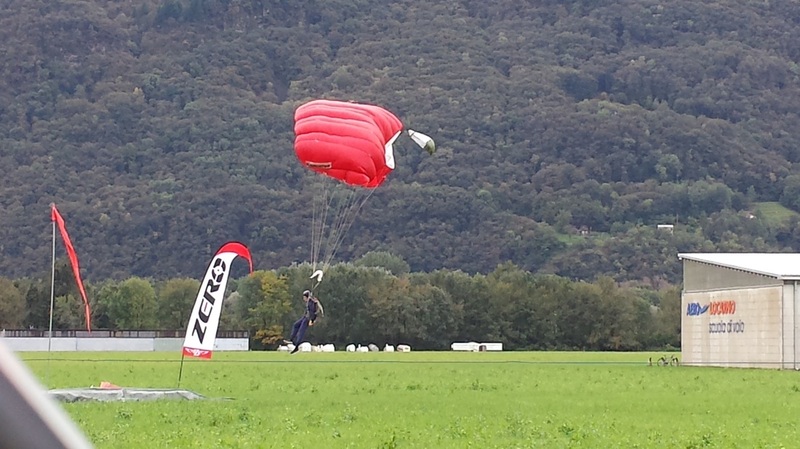 Skydiver trying to make his landing target. 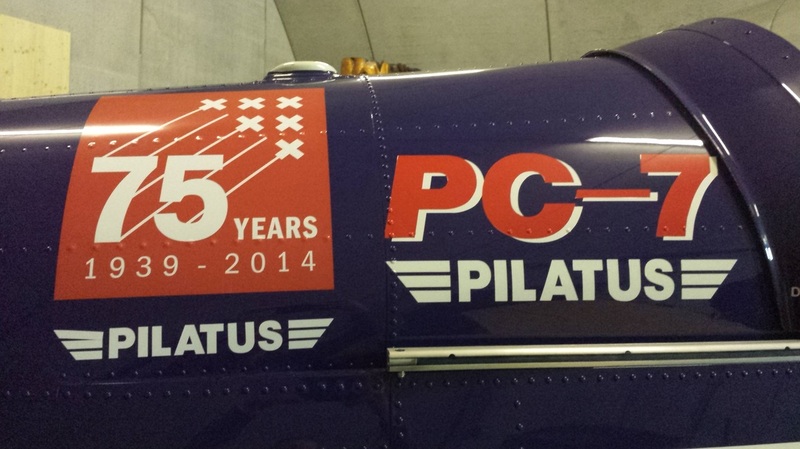 The skydiving plane was also a PC-6. ​Do you think you want to experience what we did? 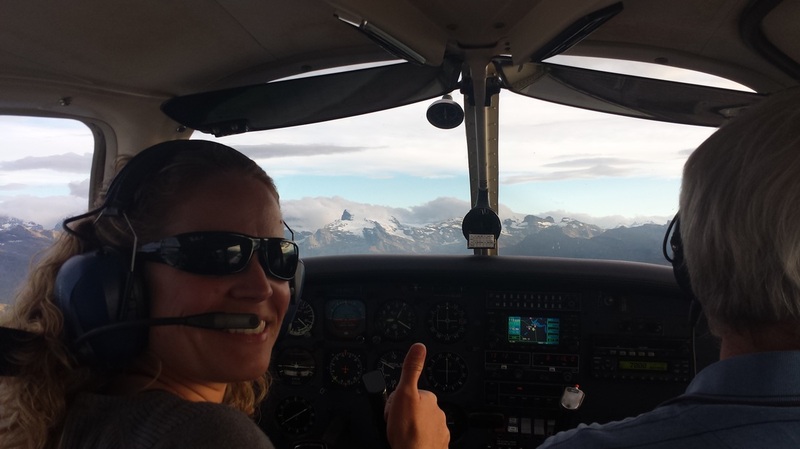 Well, you can, and AOPA is making it easier for you. 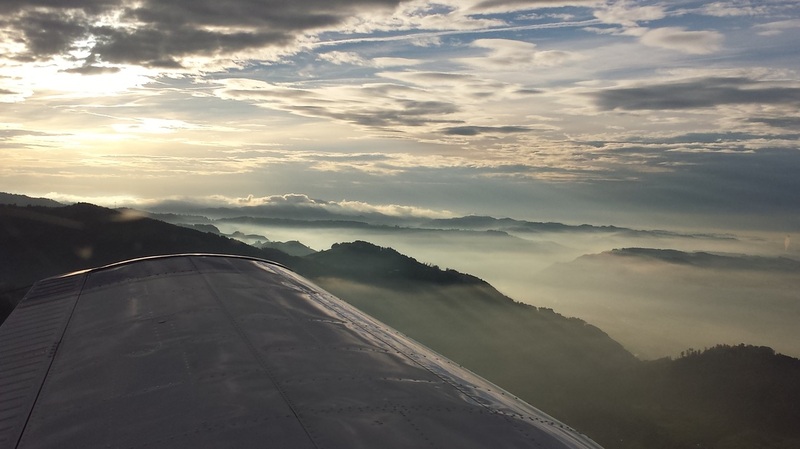 The AOPA Foundation is preparing to launch its annual online auction in November with one-of-a-kind packages and flight experiences. 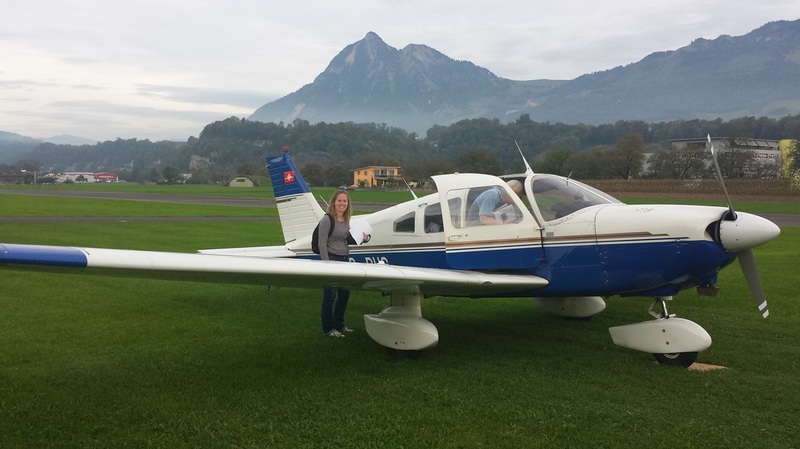 One of those items in 2013 was a popular “Pilatus Aircraft package in Switzerland“ so there will be another one with new features in this year’s auction, which opens on November 7. Be sure to bid! 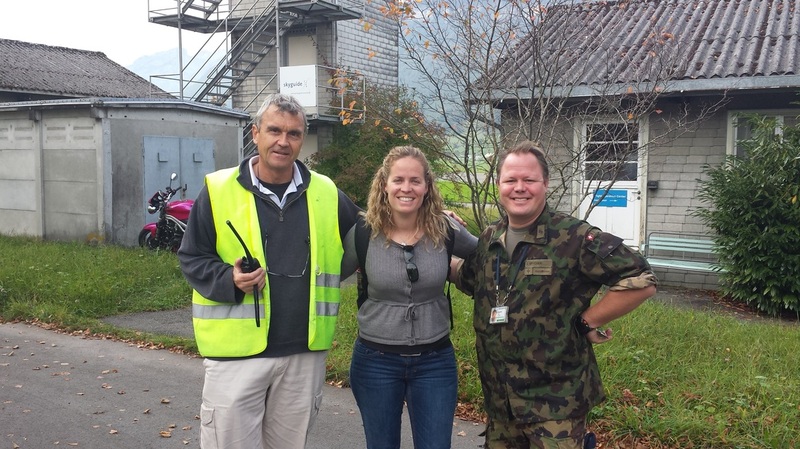 Before I end this blog, I wanted to thank all those people involved in our visits (all mentioned above) in addition to President Daniel Affolter and Philippe Hauser of AOPA Switzerland for their help and coordination. Special thanks go out to Thomas and Jan who helped us get two new tires for the rental car in a short timeframe, which allowed us to continue with our itinerary. Danke! Ok, now back down to the ground….. after daydreaming for a little while. 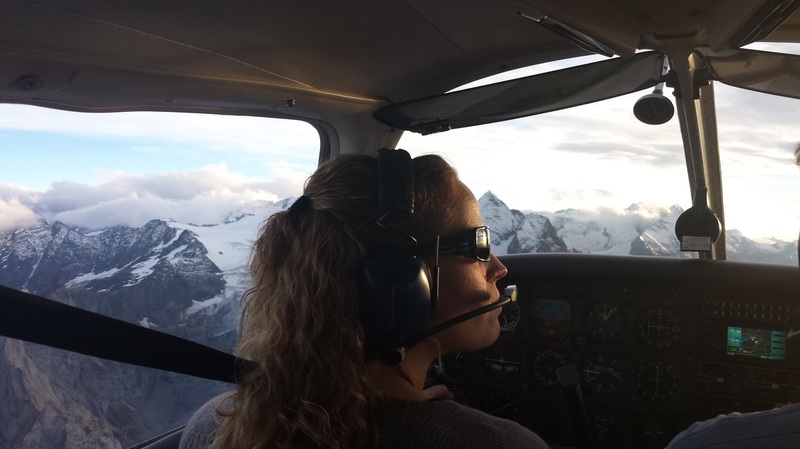 When she first posted this blog, she served as the Aircraft Owners and Pilots Association's (AOPA) Central Southwest Regional Manager covering NM, TX, LA, OK, AR, KS, MO, NE, and IA although this trip was not paid for by AOPA.